Did you know that the skin is the largest organ in the body? Skin is the barrier that protects us–and our pets–from the outside world and helps regulate all happenings in the body. 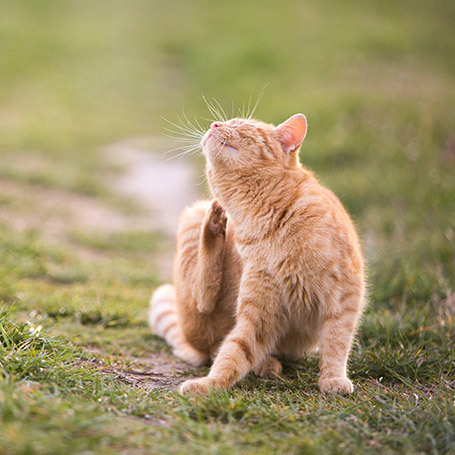 No surprise then that skin issues are one of the most common reasons why people bring their pets in to see the veterinarian. Every case is different and will receive specialized care, the following is an outline to help you understand how our doctors approach the problem of “itchy skin”. These have been shown to decrease dry, itchy skin and promote a lustrous shiny coat, and are available over the counter in our pharmacy. There are numerous fantastic prescription-strength shampoos, conditioners, lotions and ointments available at our pharmacy. We work closely with our grooming department to provide professional medicated baths when prescribed by the doctor. Not intended for long-term use, these oral medications can help us provide relief for problems such as hot spots and paw licking, but if the problem returns after a short course, we have to look deeper for an underlying cause. Food allergies are some of the most common we encounter. Our veterinarians can help you determine if your pet has food sensitivities and the best diet for your pet based on those findings. There are various types of autoimmune diseases and they can cause a variety of symptoms. These conditions are less common and might require skin biopsies to diagnose.  Finding a new lump on your pet can be very scary, but these are quite common in pets, especially as they age. Normally, the nature of the lump or bump can be determined by performing a fine needle aspirate (FNA), where a sample of cells is collected from the mass. These cells are then sent to the laboratory for analysis. Many masses are benign and have no chance of spreading to other areas of the body; these include lipomas, cysts, warts and skin tags. They are easily removed, many times requiring only light sedation and local anesthetic. Malignant or aggressive cancerous masses may require larger skin incisions to prevent recurrence. After removal, we recommend submitting the mass to the pathologist to confirm that all the cancer was removed. The pathologist will also give the tumor a grade, which will help us determine the likelihood of reoccurrence or spread to other parts of the body.